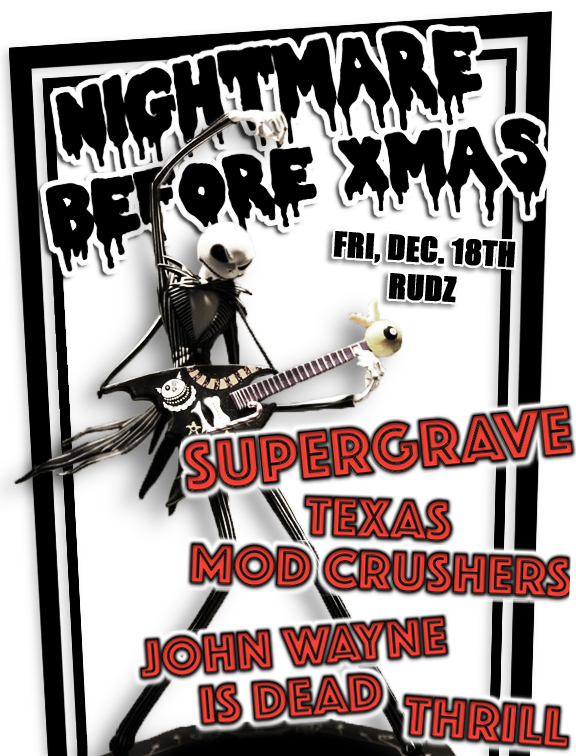 On Friday, December 18th we will be appearing at Rudyard’s British Pub – 2010 Waugh Dr, Houston, Texas 77006. The order of bands will be Thrill, John Wayne is Dead, us, then Supergrave. This will be a lot of fun. Don’t miss it! Go to the Event Page for more info.